Witnessing Melbourne Ska Orchestra live is explosive and infectious. 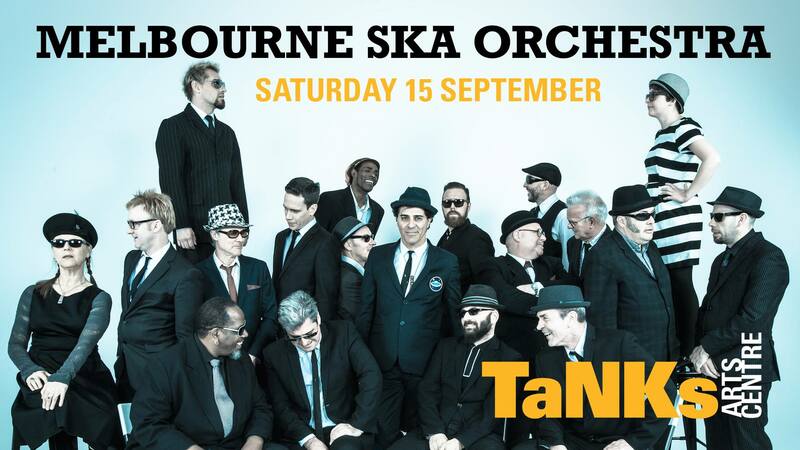 With a distinctive take on the Ska genre, they continue to wow audiences all over the world, and now after two long years, they’re coming back to Cairns with their wildest show to date! If you were lucky enough to catch this juggernaut ensemble as part of Cairns Festival in 2016 then you already know this is an orchestra with a difference. Formed in 2003 and touring with over 20 members, Melbourne Ska Orchestra (MSO) contains some of Australia’s finest musicians and performers. Led and directed by the energetic and charismatic Nicky Bomba (John Butler Trio, Bomba, Bustamento), they are a force to be reckoned with.